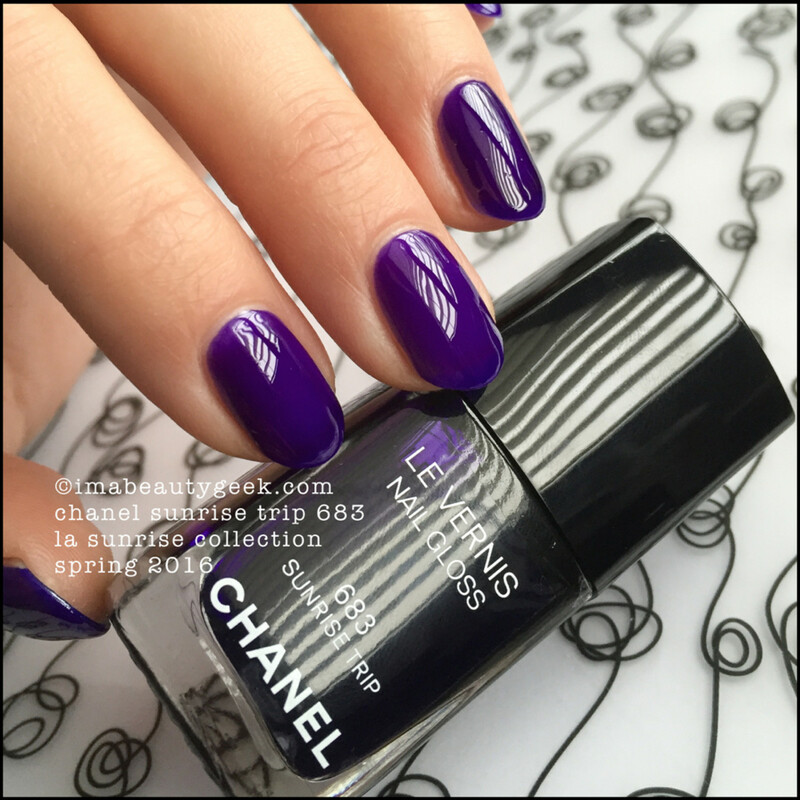 Chanel Sunrise Trip 683 is a stunner in more ways that one. I mean, wow! Lookit that purple! It’s insanely purple! 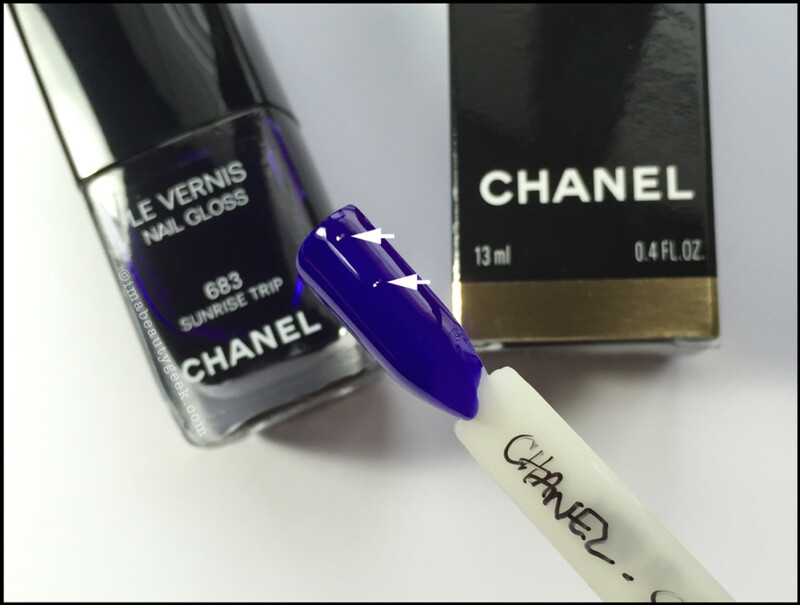 Interestingly enough, Chanel has called this Limited Edition Sunrise Trip (from the LA Sunrise Spring 2016 Collection) a Nail Gloss. 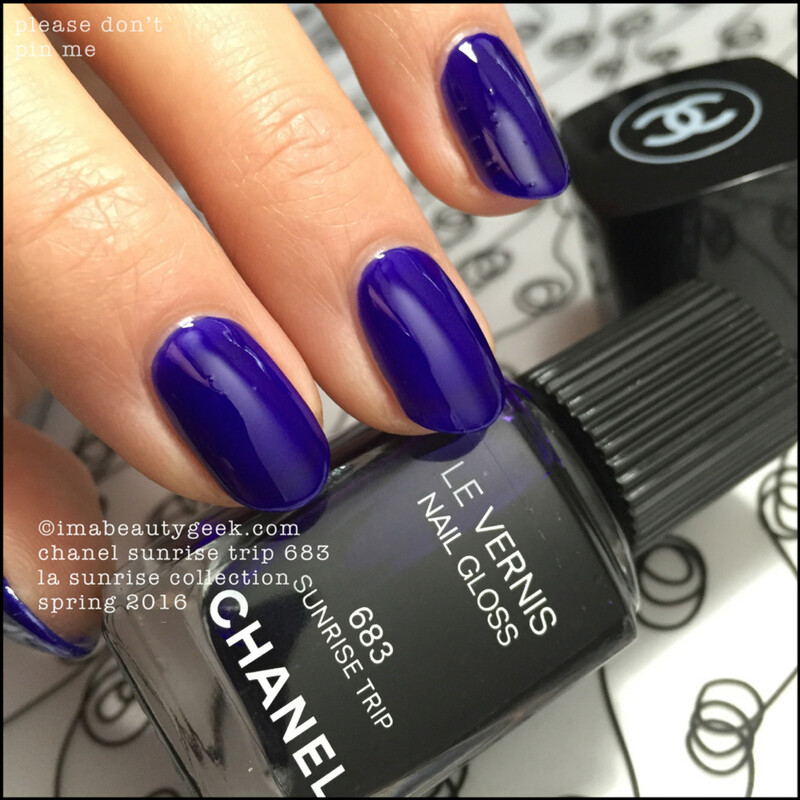 I don’t recollect a Nail Gloss from Chanel before – it’s always been called Nail Color. I’m not sure if this has to do with the jelly-ness of Sunrise Trip but there you are. It’s a Nail Gloss. And it’s a jelly. What you’re looking at there is two fantastically slow and difficult coats. It could be that I’ve lost all my mad polishing skillz, or it could be that the formula is tricky and the brush a bit wangly and uneven. Seeing as I’ve been polishing for decades, I’m placing the blame squarely on what’s inside this beautiful bottle. The purple of Sunrise Trip is absolutely stunning if you can get it on there lookin’ good. 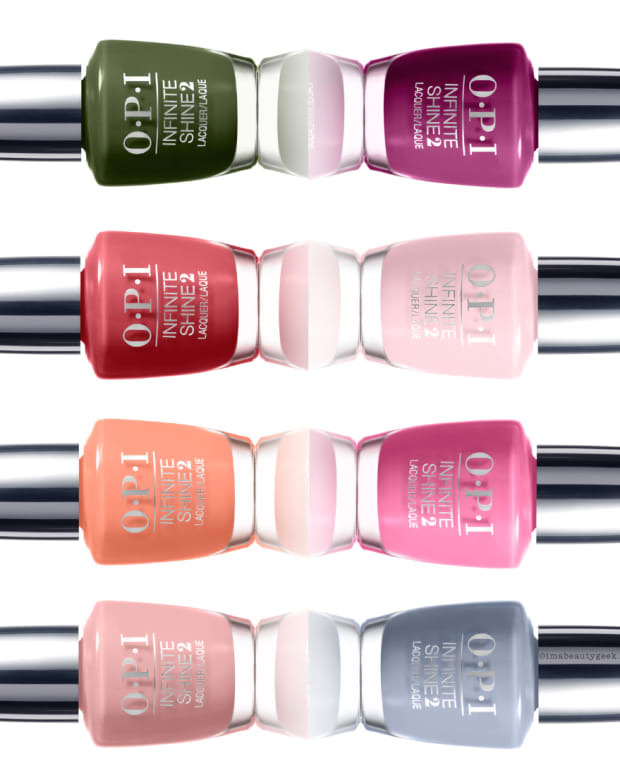 The polish is thick, and the uneven brush results in uneven lines at the cuticle. Then, wait for it… bubbles. Oh yes, you read that right. Bubbles. Here, let me blast it with some artificial light. Oh! Now it’s blurple! Yes, it looks different in different light – no surprise there, right? But look at my index and my ring fingers. 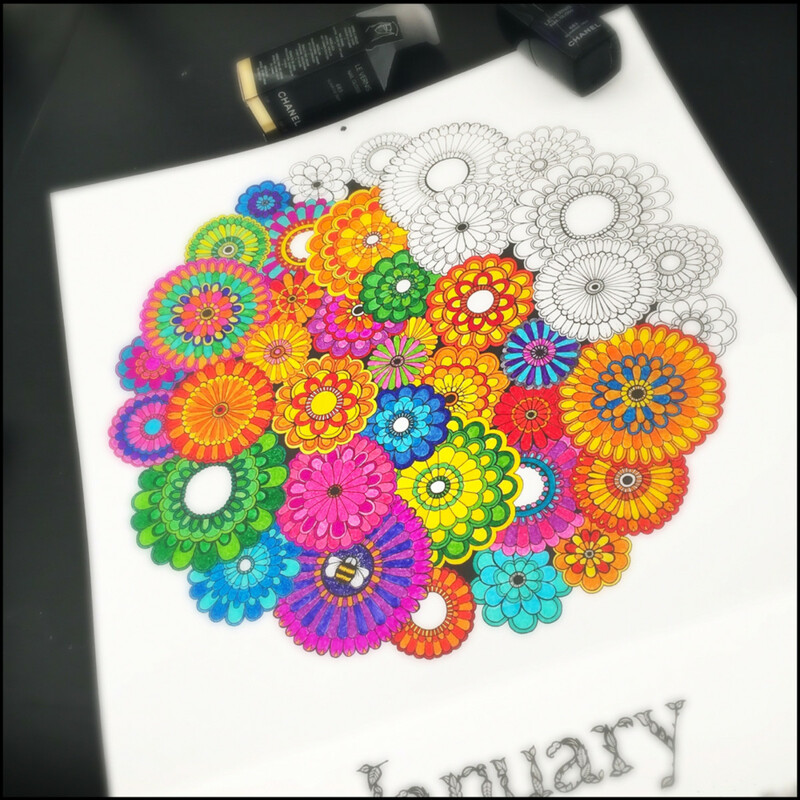 Those little blips are bubbles. I can’t explain why some nails have bubbles and some don’t. My middle finger and pinky have none but the two other fingers and thumb are loaded with bubbles. Fascinating. 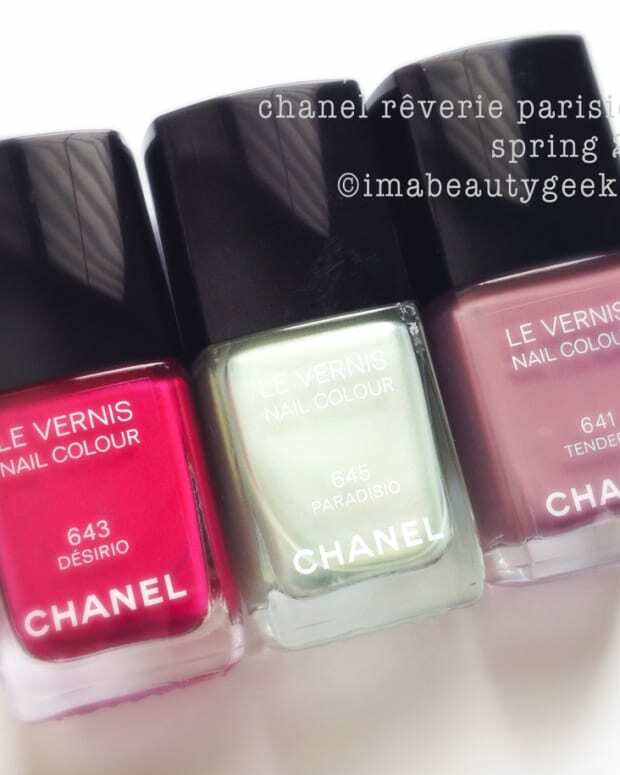 And irritating – especially given that I have no shade quite like this one in my Chanel Archives. I wanted Sunrise Trip 683 Nail Gloss to be a winner. Sadly for me, it is not. As a special treat, here, let me show you the bubbles that resulted from stick painting too. That’s two coats. Seeing as I only bubbled on some fingers, I’m guessing that your mileage may vary with Sunrise Trip. I tried a couple times but the end result was the same. It’s sad. I’m keeping Sunrise Trip though. Maybe it’s too cold at my desk and the polish doesn’t like that. If I remember, maybe in a few months when I’m trolling through The Archives, I’ll whip it out and try again. 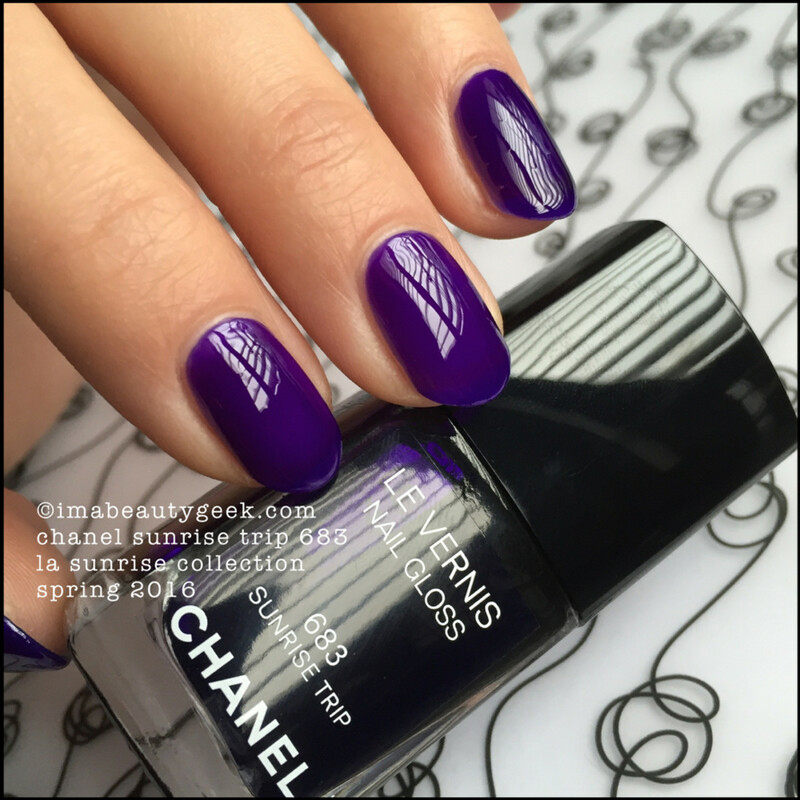 For now though, I’m putting it in the Chanel drawer and trying to forget there’s a stunning purple in there that I wish I could wear. 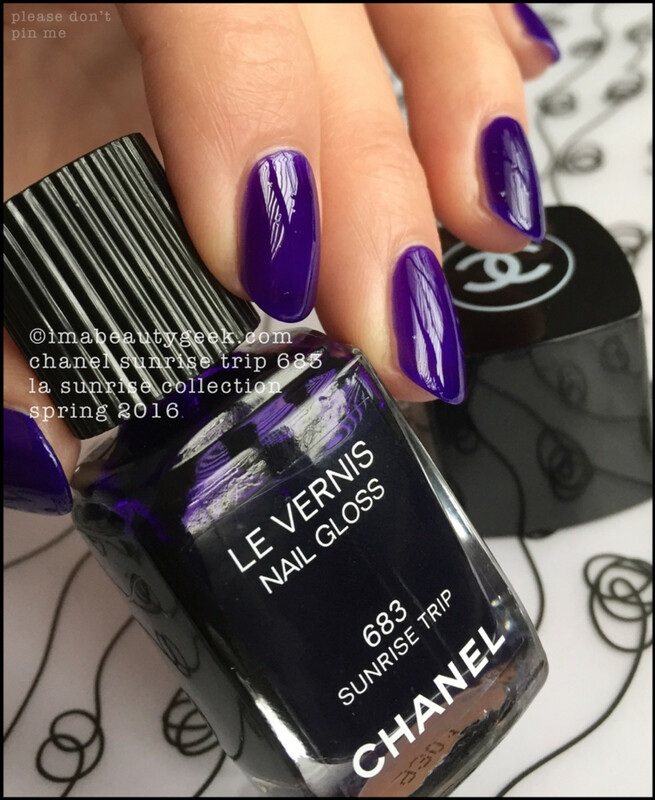 If you’re so inclined, you can score your own bottle of Limited Edition Chanel Sunrise Trip 683 Nail Gloss from the Chanel L.A. Sunrise Collection Spring 2016 from chanel.com in the US, or thebay.com in Canada. Gonna?